Some passing clouds. Low 42F. Winds NW at 5 to 10 mph..
PAUL BILODEAU/Staff photo. The Babson-Alling House at 243 Washington St., was recently purchased by Cape Ann Museum. It is next to the lot that where the museum is building a storage building off of Grant Rotary, and could be part of the project. Courtesy photo/A bird’s eye view of a preliminary plan for Cape Ann Museum's new collections center on the White-Ellery House property, making special note of the new trees and landscaping that will come with the work. The plan was drawn before the museum bought the Babson-Alling House at 243 Washington St. The open space just north of the Route 128 Extension and just above Grant Circle is about to start taking on its look of the future, while making a nod to showcasing the past. 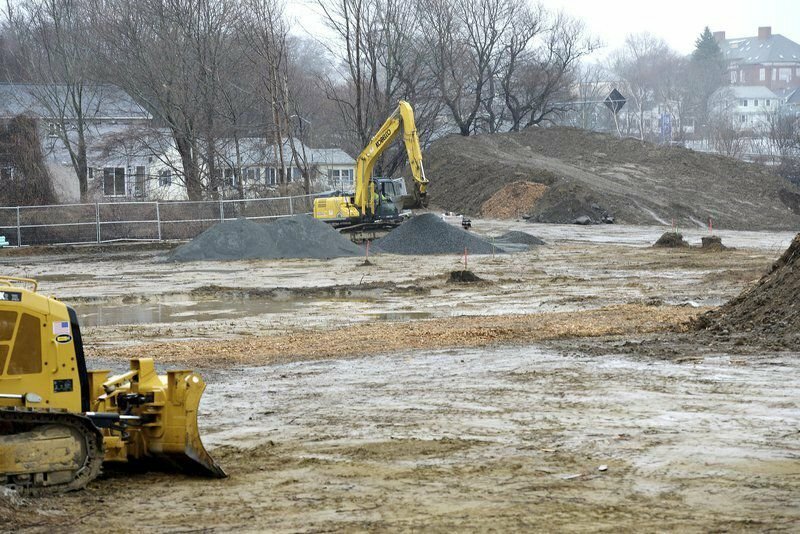 Cape Ann Museum has cleared land off Proctor Street that it has owned since the 1940s for construction of a new, 12,500-foot storage and programming facility. The museum hopes to begin construction on the building as soon as next week, said Oliver Barker and Ronda Faloon, the museum's new and outgoing directors, respectively. The museum's purchase of the historic Babson-Alling House at 243 Washington St. has added a new component to the project that creates a campus off the corner of the city's gateway rotary. "We thought that, because the storage (building) is being built behind the Babson-Alling House, it only made sense for us to also try to acquire it as well," Faloon said. The museum closed Feb. 1 on a deal to acquire the house from Wilder G. Baird for $485,000, according to records from the Southern Essex Registry of Deeds. The purchase gives the museum control of two of Gloucester's iconic houses that date to the early 1700s — the Babson-Alling House and the White-Ellery House — and once formed Gloucester's central green. The deal pushes the cost of the entire museum project from an initial estimate of $3 million to between $4 million and $5 million, Faloon said. The work will be funded through grants and a capital drive, she said. "I think all of this is a very exciting opportunity for the museum, given the location of the site at the gateway to Gloucester and given what this work will enable us to do," said Barker. He took over as museum director April 1, while Faloon, who has served in that role for 14 years, transitions out as of May 5. Faloon said the museum is looking into having a "preservation assessment" done on the Babson-Alling House to see what level of work it needs. "I don't think it would be used for collection storage," she said. "For one thing, the rooms in it are beautiful. But we really haven't come to any decision (on how it could be used)." The storage facility is being eyed for use as an additional programming site in addition to providing extensive shelf space for a wide range of artifacts from Cape Ann's history that are now overcrowding the museum's main facility on Pleasant Street. "We have everything from poets' papers to dories and other vessels," Faloon said, "and we don't have any more room." Clearing the site for the new storage facility has meant removing several trees and other vegetation from the museum's property along Poplar Street and from state Department of Transportation property along the Route 128 Extension. Barker said the trees, many of which were Norway maples, had become diseased and posed threats to stonewalls and the historic buildings in the form of mold and other potential hazards. The work, he said, was all sanctioned and monitored by arborists, including those from the state's DOT. "It's unfortunate" he said, "but this is going to be public space where we're welcoming the public, so we have to address those concerns." Barker said that the museum will be doing extensive replanting of native trees on the property as the project moves forward. Both he and Faloon said the end result will provide visitors with more green space than the museum's Pleasant Street site. The storage building will be constructed in an "L" shape, allowing for open space behind the Babson-Alling House and what will amount to a courtyard within the buildings' configuration. "The idea is for people who are inside the (programming wing) of the building to be able to look out and see the historic buildings around them," Faloon said. Faloon said that, if the museum can begin its site construction next week as planned, it is shooting to have the work completed by November. "If that's the case, the museum would begin programming on the site as of next summer," she said. Barker, meanwhile, said he and other museum officials will be speaking with various groups and residents to get a sense of what the community would like to see in additional programming that could flourish on the site alongside the countless historic stored artifacts of Cape Ann's history. "I think this whole initiative is going to change the entire potential for the museum to serve as a place for public enjoyment, and I'm excited about that," he said. "I'm sure we'll have some wonderful ideas. I know there will be other initiatives I and others will want to try. It's all very exciting, and an exciting time for us all." A secondary headline on the original version of this story, published online and in print, needs clarification. 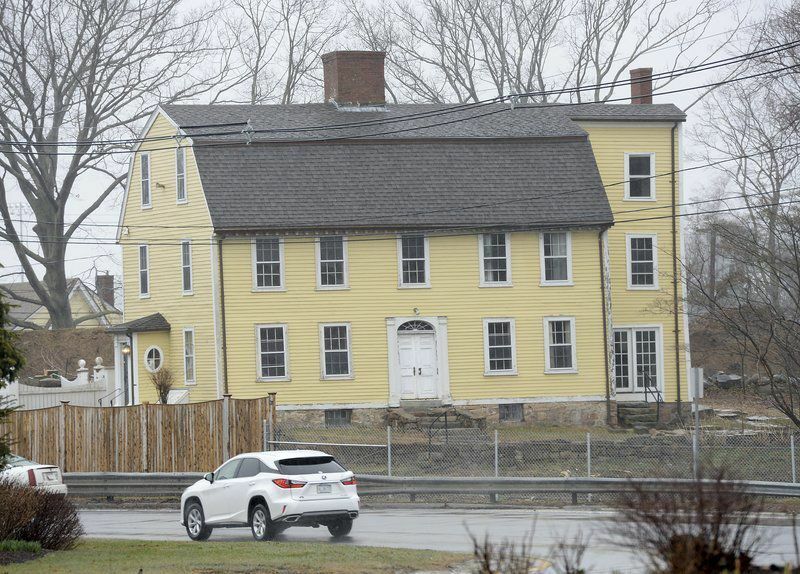 While possible work on the Babson-Alling House could be combined with the Cape Ann Museum's project to build a new collections center next door, the house itself would like not be used for storage, said outgoing museum director Ronda Faloon.